"I will miss you, gently flowing stream." The Mad River Old Crows proposed a group backpack into Russian Lake along the Deacon Lee Trail for the second week of August. The same hike had been proposed the previous year but cancelled on account of smoke. So this was technically their second annual backpack to Russian Lake. Barbara and I had been pondering the end of our backpacking careers. But beautiful Russian Lake is one of Barbara's favorites. We had been there most recently in 2002 (see Thither Lead Myriad Paths), and we figured that the three-mile hike would be moderate enough to survive. Barbara was good with going. I said, "Fine." Then the fires struck. Lightning bolts set the world ablaze on the weekend before the trip. The Forest Service closed the Deacon Lee Trail. 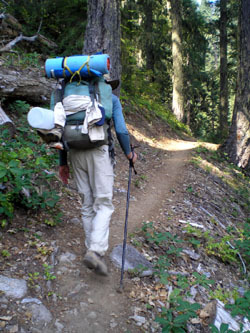 The Pacific Crest Trail in the Russian Wilderness was closed. Large swaths of the Marbles and the Trinities were closed. Heavy smoke blanketed all the forests to the north, south, and east. The Old Crows scrambled for an upwind alternative with waning enthusiasm. 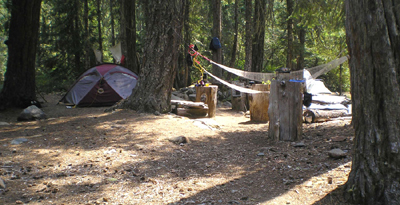 On impulse, I suggested Trout Camp on Clear Creek in the Siskiyou wilderness. Barbara and I had backpacked to nearby Devil's Punchbowl in August of 2008 (see As If Seeing For The First Time). Without studying any maps, I estimated the hike would require about a 700-foot drop to the campsite in maybe three miles. A piece of cake. It just so happened that my annual appointment with my cardiologist fell on the day before we planned to leave for the trailhead. We were already half-packed. So I asked the doc if a three- or four-day backpack would be a good idea. He reminded me that six years had passed since my open heart surgery and the average life of my venous grafts was seven years. One graft had already failed. The other one had been reopened with two stents three years earlier, following a heart attack. He ran an EKG, looked at my blood work, listened to my heart, thought about it, then pronounced, "I think it would probably be okay." Such faint endorsement did not instill unbridled confidence. But at least he didn't say no. The following afternoon we headed north on 101, veered northeast on 199, stopped at the ranger station in Gasquet for a map, and turned off on Little Jones Creek to climb southeast on Jawbone Road (Forest Service Road 16) to the intersection with Bear Basin Butte Road. At the Butte, Forest Road 16N02 forked left, passed beneath the lookout, dropped steeply into Bear Basin, passed the trailhead to Island Lake, and then climbed through Siskiyou Gap, which divided Del Norte from Siskiyou County and the Six Rivers from the Klamath National Forest. 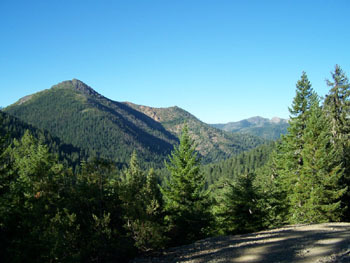 The road ended at the Doe Flat trailhead (N 41 48' 50.9", W 123 42' 25.2", 4486 feet), where ten empty cars and trucks awaited. On terraces above the parking lot were a pit toilet and three campsites. The upper campsite sported a single tent, but no campers. A pale, vague, middle-aged man with thinning blond hair was toting two stuff-sacks from a dusty Subaru Outback to occupy the middle one. He told us he was planning to hike in tomorrow and try to meet up with some friends, though he had no idea where they would be. Beside granite boulders and manzanita we found a level place to park the van for the night in the shade of red fir, Douglas fir, and a rare Brewer Spruce. In the east loomed red-faced Preston Peak, only slightly hazed with smoke. As we were lounged in our folding chairs, enjoying the shade and the peace and our Subway sandwiches, the whine and growl of a diesel engine rent the mountain air. Soon a massive red crew-cab pickup crawled around the curve below and roared into the parking lot. A few moments later it was followed by another. From those two terrible trucks spilled forth, like a plague of locusts upon the land, a troop of Boy Scouts. Oh, in all the wilderness there is no more dreaded curse than infestation by rowdy, inconsiderate, intrusive, and endlessly shouting Boy Scouts. After dinner I wandered over and introduced myself to a black fellow with "Scout Master" emblazoned in yellow on his taut green T-shirt. He was trim and fit, cordial and well-spoken, and didn't seem bothered that everybody else was white. I liked that. He spoke his name and shook my hand. "Yes, sir. Our troop's out of Happy Camp." I glanced around. "Lots of cars for the middle of the week like this." "More'n I've ever seen here before. We take the boys in from this trailhead a time or two every year. We're usually the only ones here." "Last time I was here, six years ago, there were only four cars." He nodded. "Probably the smoke and fires are driving them all this way." "Where you headed?" I finally got around to asking. With enormous relief I relayed the information to Barbara. We got away for an evening walk down the trail as the Scouts noisily cooked dinner and set up tents and sleeping bags at the nearest of the three campsites. Miraculously they grew quiet at the stroke of nine. Up early the next morning, we saw Venus hovering in the pale sky above Preston Peak. No smoke. The Scouts were on the trail quickly, and with that, mercifully, we were quit of them. But I couldn't help pitying the solitude-loving folks who would be camping at the Punchbowl for the next few days. We didn't get going until nine. I hoisted my backpack. It felt incredibly heavy. Unreasonably so. Heavier than I remembered, through I calculated it to weigh the usual forty to forty-five pounds. Barbara's seemed heavy too at maybe thirty pounds. At least it would not be a long hike, I thought, and mostly downhill. But it was not easy. The trail was challenging, for hours rising and falling steeply on rocky tread through the rugged metamorphic schist and granitic and ultramafic terrains. We took only a couple of short breaks. Closing in on noon, we encountered a young couple hiking out who had been camped at Trout Camp. They had originally planned to backpack in the Marbles, but like us, the fires had changed their plans. All the campsites on Clear Creek had been full last night, the woman said, but theirs was now empty. Though we were growing fatigued and needed a lunch break, we felt a need to hurry on and capture their site. Soon we arrived at the junction with the Devil's Punchbowl trail (N 41 48' 59.1", W 123 39' 38.1", 3900 feet). Six years ago we had turned right and hauled our packs up another 900 feet and three more miles to the lake. This time we turned left to descend steeply down 700 feet in twelve long switchbacks to Doe Creek. By the middle of the third switchback a sharp pain had developed in my upper quad, near my left hip. It was a burning from the buildup of metabolites in the unaccustomed downhill muscles. I had to stop and take off my pack on the narrow trail that had been scratched into the precipitous hillside. Without my pack, the pain subsided, but my legs were wobbly with fatigue. Two or three more times, when the pain grew unbearable, I had to stop and rest, until we finally reached the Doe Creek crossing at the bottom. By then Barbara too was nearing exhaustion. "These packs are too heavy," she said and insisted we stop for lunch at a small campsite by the stream. I grumbled, but knew it was the right decision. After lunch we still had to climb out of the brushy ravine and follow the old road another half mile or more to the Clear Creek crossing, where we found, as advertised, the main Trout Camp campsite empty, available, and inviting (N 41 49' 18.6", W 123 39' 10.3", 3205 feet). Shaking and sore, we rested our legs beside the creek. I studied the map. Checked the waypoints on the GPS. Did the math. The drop from the trailhead to Trout camp was almost 1300 feet, with 700 in the last mile. And that's not counting the hundreds of feet of ups and downs through the rugged terrain along the way. The total hike would be closer to five miles than three. Then I unfolded the account of our last backpack from the same trailhead into the Devil's Punchbowl six years ago and realized it had taken place a mere two months before the stunning surprise of my open heart surgery. Jesus! I washed up in the creek and we set up our tent and ate an early dinner. Merritt, one of the Old Crows, and his friend Judy arrived later that evening. Younger and stronger by a decade or two, they had not found the hike difficult. As we sat around camp, the horror began to withdraw. Barbara spotted olive-sided flycatchers hanging out on snags near our site. Campfires were suspended in the wilderness, so we crawled into our tents with nightfall. Barbara and I slept deeply. Friday morning a group of four backpackers passed through our campsite on their return from Wilderness Falls, three miles further down Clear Creek. The morning before they had pulled in next to our van at the trailhead as we were leaving, but quickly passed us on the trail. The woman and her young daughter were from Flagstaff, and the two young men from Dresden, Germany. They were following the "Bigfoot Trail" and exploring the Siskiyous. The woman was a botanist and conversed with Merritt, a forester, about the unusual juxtaposition of trees and plants in this protected botanical area. Merritt and Judy dayhiked the 6-mile round trip to Wilderness Falls. Barbara and I took some short hikes to stretch our downhill muscles, which had never been so sore. Several backpackers arrived in the evening, and one group of three took a site down the creek from ours. David, the third and final Old Crow to attend, arrived around 6:30 with an impressively light 21-pound backpack. He showed Barbara how to use AquaMira drops to purify water without carrying a filter. On log benches propped together by prior campers around the empty fire pit we spent a pleasant evening chatting about religion and forestry and wilderness and holistic medicine and the possibility of enlightenment. After dark ten or more backpackers with blazing headlamps marched through our camp heading for Wilderness Falls. They were celebrating the Super Moon with an overnight hike. Saturday morning Barbara awoke to the singing of her Olive-sided Flycatchers. She pointed out a Wilson's Warbler and Brown Creeper working its way up a trunk. After an agreeable morning in camp and sitting quietly by the stream, Barbara and I dayhiked up the Clear Creek Trail toward Youngs Valley. 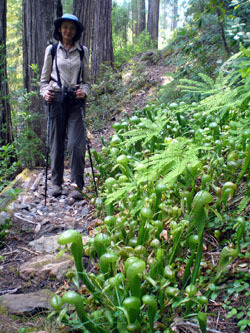 We passed a half-dozen healthy Darlingtonia fens along the trail, couched in five-fingered ferns and red huckleberry. We lunched at a viewpoint a mile or two up the trail. Smoke and haze had begun to obscure the upper slopes. We chatted with a passing group of four graying backpackers from Portland who had just broken camp above Clear Creek and were headed for Raspberry Lake. Merritt, Judy, and David had hiked further up the same trail and later returned to camp along the creek so Merritt could do some fishing. We found a deep pool and swam in the cold waters of Clear Creek. It was another pleasant evening at camp with the Super Moon rising through the trees as we retired. I got out of the tent an hour or two after midnight and saw a few of the headlamped backpackers heading back out across the creek. We were up at first light Sunday and on the trail by 9:30. David had begun before us. Merritt and Judy were still packing up when we left. Going up the twelve switchbacks was not so strenuous on fresh legs and with lighter packs. Clouds and smoke muted the sun. After the switchbacks, the trail became rocky and steep in places with lots of undulations, and we grew tired. 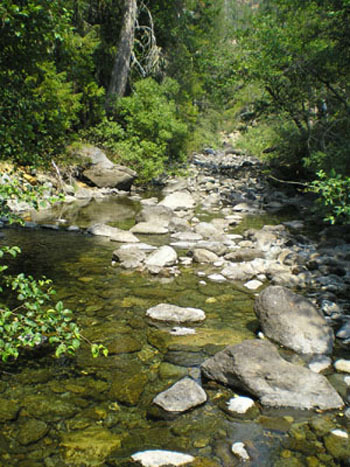 We stopped for lunch at Doe Flat and pumped water from the creek. At Buck Lake junction it started to sprinkle, and we picked up the pace fearing thunderstorms. It never did rain, but we became fatigued and cranky with the faster pace. At the junction with the abandoned road to Trout Camp we took off our packs and rested. Some young people who had camped at Devil's Punchbowl happened by and stopped for a break there too. They said there had been 24 campers at the lake, including the disruptive Boy Scouts, and scarcely enough flat places to set up a tent. Fifteen vehicles awaited us at the trailhead. We unpacked, changed clothes, and left without seeing Merritt and Judy. I recall the quiet moments at Trout Camp beside Clear Creek. I am alone, resting on my blue foam pad, wedged between two river-rounded boulders, and leaning back against a third. It is peaceful beside the stream. The horror erased. The flow unending. Am I the stream, I wonder, or the rocks over which the stream endlessly tumbles? Why is this my last backpack? Mainly because my body just can't do it anymore. I used to say, "I can keep doing it, only I may not want to anymore." Now I'm not so sure I can even hike out of this place. Never have my muscles been so sore. Forty-five pounds is just too much for my legs to carry for five hours. And there's my heart, with one failed graft and another reaching the end of its life expectancy. My life expectancy. I fear I will never get out of here. I have feared that before, yes. But now pain and the fear of physical breakdown seem to have taken up permanent residence. In balance, it just isn't fun anymore. Ah, but what will I miss when I no longer hike into the wilderness to stay for awhile? To be here is so much! This babbling stream, for one thing, with voices of the never-to-be-born in its song. The silent, satisfied walk back from the tree where the food has been hung out of reach of hungry bears. The here-ness of the present, as it can never be replicated in the worldly day-to-day scramble. The stream continues its flow. From somewhere. To somewhere. Here only now. An Augenblick. So foolish to try to capture it with cleverness. Strip away all the cleverness, which rises to the top like cream on a bottle of sour milk. Then get rid of all the regrets and the fear and the ambitions. 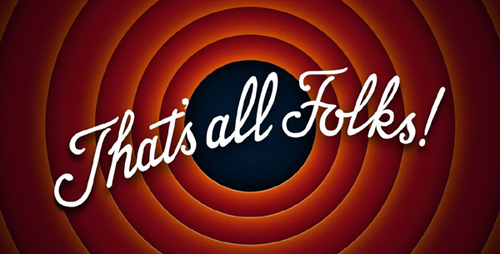 Next let go of the interpretations, and the understanding, and the conclusions, and the certainty. Finally even the words must lose their meaning, and even meaning itself has to be released and sent out to pasture like an old swayback mare. What remains is an overwhelming fullness of the heart, a love and kindness and compassion. These are the seeds of creativity and acceptance of the greater whole. And the stream. Ah, the stream, without a name, without a meaning, continues to flow past through time-rounded rocks. I will miss you, gently flowing stream.